Clear optical grade safety shielding with impact resistance 250 times that of glass of equivalent thickness is being offered by Dotmar EPP as a high-performance alternative to metal shielding. Transparent polycarbonate Safeguard PC – the same type of material used in bullet-resistant laminates in banks - is cut to shape by Dotmar EPP to function as a rugged see-through protection alternative heavier and less easily fabricated materials. The Safeguard PC range – which is one seventh the weight of steel and half that of glass – is easy to handle and easy to fabricate to almost any shape, says Dotmar EPP General Manager, Sales, Scott Foster. 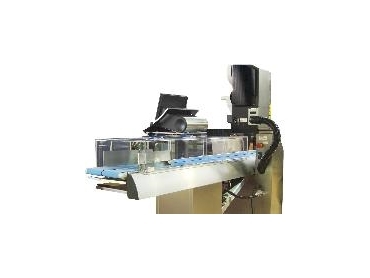 All Safeguard PC products can be effectively machined using standard metal and woodworking equipment, with best results from carbide tipped tools. The Safeguard range is OHS compliant, non toxic and thermally stable, being scarcely influenced by sudden changes in temperature and humidity, having a continuous service temperature range of -60 to +130 deg C.
High electrical insulation properties make it highly suitable for use in parts of electrical instruments, switchboards and equipment where insulation, shock resistance and transparency are needed. All Safeguard PC products have good flame retardant properties and are generally classified as self extinguishing. All Safeguard PC products do not generate poisonous gases when exposed to fire. Safeguard’s sound deadening properties are comparable to plate glass says Foster, and its non-toxicity makes it suitable in food and medical applications. “The material’s terrific qualities result from the fact that polycarbonates are polymers with functional groups linked together by carbonate groups (-O-CO-O-) in a long molecular chain. The structure gives the material its toughness, optical clarity, ability to be bent, drilled and cut with a saw – all whilst retaining Safeguards unique properties.